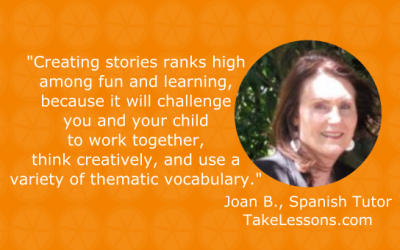 Hear from fellow parents and educators around the world share their experiences and their best tips on raising multilingual and future global citizens. I am a mom who works full time, so time, especially with my son, is precious. Almost every minute spent away from my family and work is spent doing or thinking about things that are necessary for our household so that I can focus solely on quality time with my son when we get home. 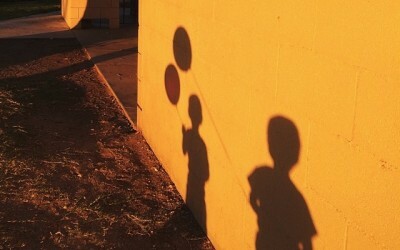 Yet even those hours don’t seem like enough, a sentiment I am sure I share with other working parents. Ben Scheirman is an independent software developer from Houston, TX. 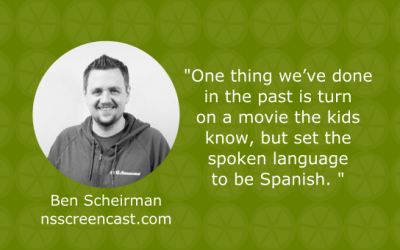 He runs nsscreencast.com, producing a screencast on iOS development each week. He’s a father of 5 children and a moderately capable Spanish speaker. We invited him to share a little bit about his bilingual family. 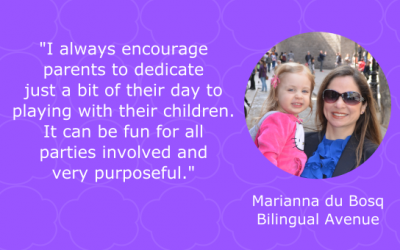 This week we asked our FAVORITE bilingual family podcaster, Marianna du Bosq, to share with us how she was able to maximize her daughter’s exposure to English and Spanish while living in Germany. 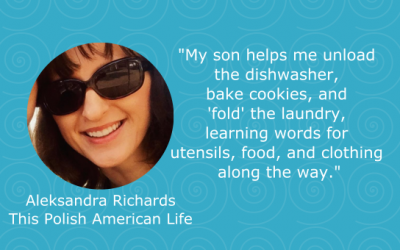 These strategies apply to any and all parents looking to keep language learning a fun and integral part of their family life. 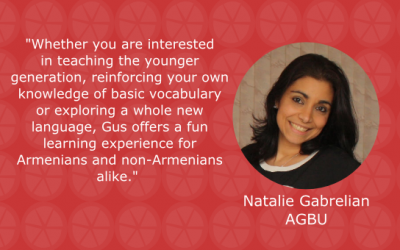 Early last summer the Armenian General Benevolent Union (AGBU) reached out to us to work with them to develop Gus on the Go in Eastern Armenian and Western Armenian. We’re so excited to finally be able to release this for the international Armenian community. It’s been a very personal project for all parties involved and we couldn’t be more thrilled. 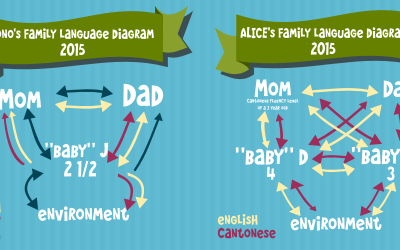 As our little “babies” get older and enter daycare and preschool, both Yono and I were presented with new challenges and some edits to our different family language diagrams. 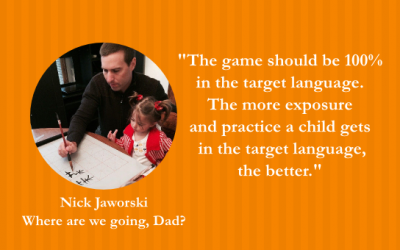 We invited Nick Jaworski, a language center director and blogger, to give us some insight on what he looks for in a language learning app for his daughter. 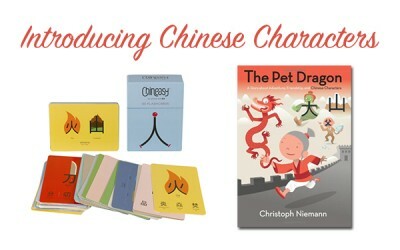 Over the winter, I decided that it would be a great time to introduce my 4 and almost 3 year old sons to recognizing and possibly writing Chinese characters. Maybe about a month after I wrote the last post boasting that my two boys were bilingual, my 4 year old made the inevitable albeit super quick transition to use English as his primary language. My heart broke a little every time I would ask my 4 year old to speak Cantonese, he would simply reply “No, just English, Mommy”. WHAT JUST HAPPENED? In 2003 Virginie and Bertrand Coue, a proprietor of P’titCREF, initiated the whole P’titCREF project. Today she is a Headmistress at P’titCREF Trilingual Early Education Center and she is also a main coordinator of the franchising network. Virginieis married and a mother of two daughters. 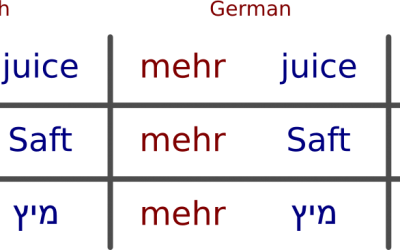 Baby J has recently learned a new skill – code switching! Ok, fine… it’s not really a skill so much as a natural byproduct of being raised multilingual. 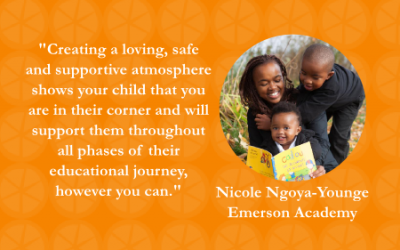 In 2006, Nicole brought her commitment to excellence in education here to the GTA, and this year became the Head of School at Emerson Academy, Durham Region’s only fully Bilingual Montessori and French Immersion Private Elementary School. 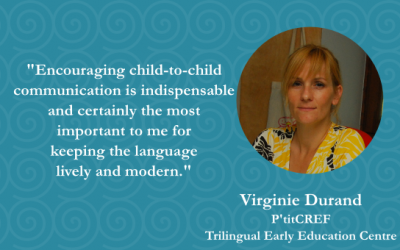 We asked Nicole to share her best tips on supporting a child’s bilingual education. 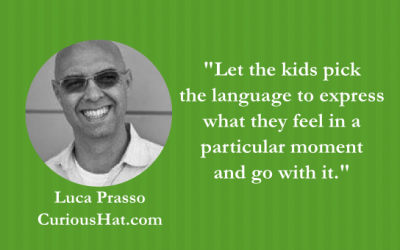 Luca Prasso is the Co-Founder and CEO of Curious Hat. 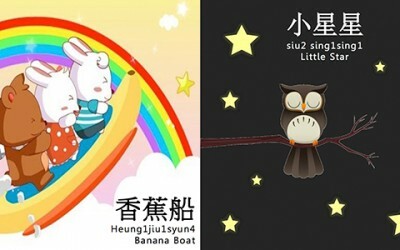 Luca and his team produce creative mobile apps that activate your child’s curiosity and imagination. We’re big fans of his apps and mission to use the ipad to create moments and experiences, so we invited him to answer a few quick questions about his experience raising his children to speak both Italian and English. As the oldest of my two boys nears his 4th birthday, I couldn’t be more proud of their progress in becoming mini bilingual speakers. While Yono is simultaneously teaching his son to speak 3 languages, my approach was simply to only teach my kids Cantonese until they were ready for daycare/preschool.